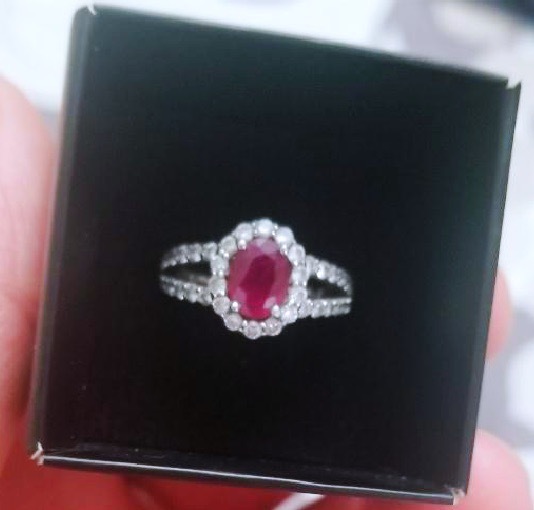 This custom engagement ring featuring a ruby center stone and diamond side stones in a platinum setting was designed and made by ItsHot.com, the NYC jewelers world-famous for creating custom high-end pieces for A-list celebrities like Snoop Dogg, Kim Kardashian, T.I., 50 Cent, and many more. 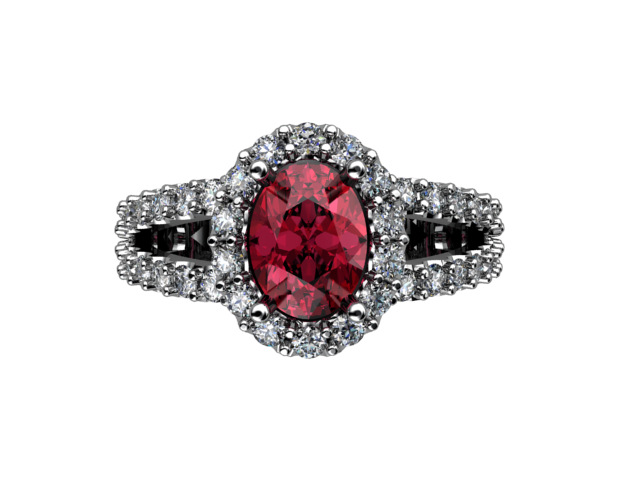 The center stone is a 1.41 carat ruby, a precious gem which is more rare than even diamonds. This particular stone is GIA certified and has received an AA Grade, which places it in the top ~20% of all available rubies in the world in terms of quality. The side stone diamonds amount to 0.84 carats. Valued at over $12000, this beautiful custom piece comes with all of the requisite paperwork and the appraisal.